Now here's a bit of an interesting find - an obscure and, so far as I can tell, almost completely ignored soul cover of a Bob Dylan track. 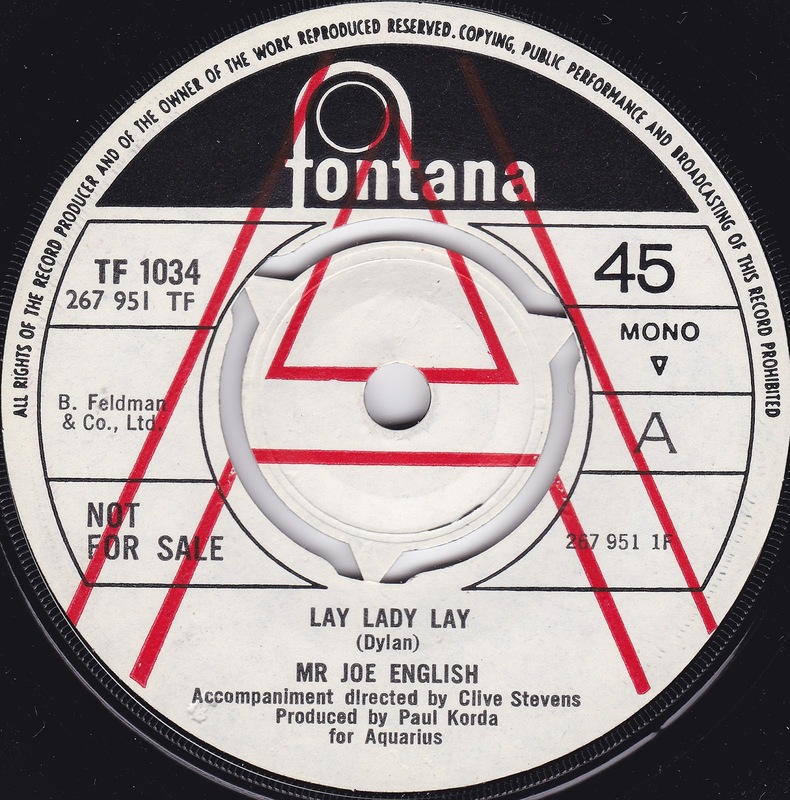 This version of "Lay Lady Lay" is mellow, atmospheric, and filled to the brim with basslines so fat you could fill a jar with the drippings from them. 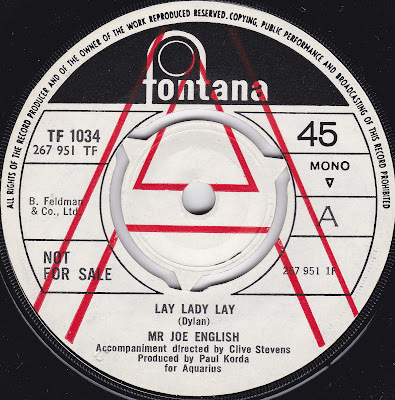 With a relaxed, smoky vibe around it which almost recalls the pace and atmosphere of Dusty Springfield's "Son of A Preacher Man", Mr English's voice is expressive and takes the song to new and blissful places - in all, a cover worth looking out for. The B-side has picked up a few fans online already, but also remains obscure. 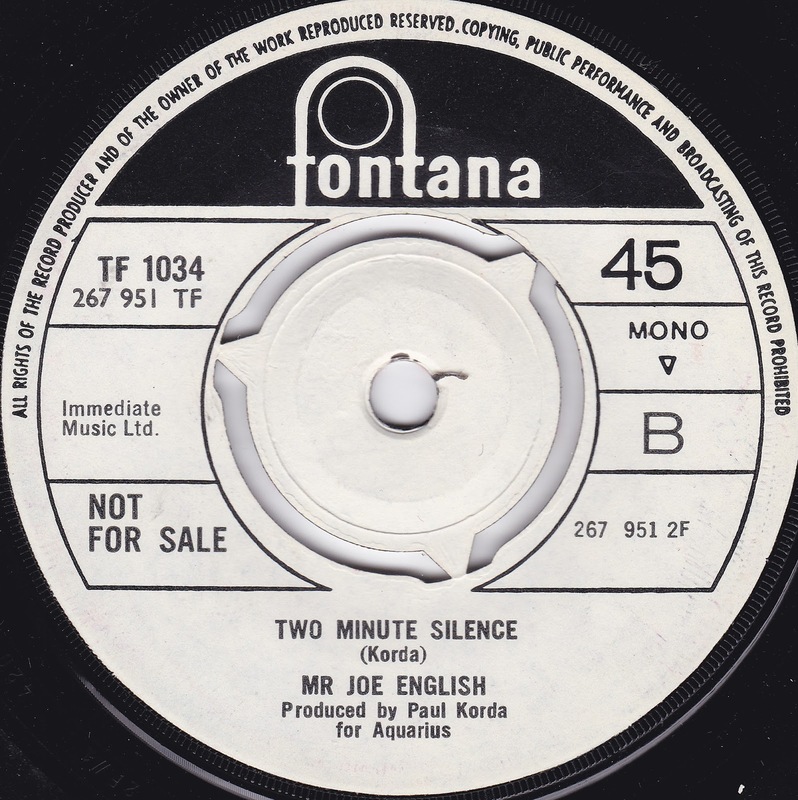 "Two Minute Silence" sounds like a bit of a funky studio jam, but definitely shows what English and his studio guests were capable of as soon as some energy was injected into proceedings. I have absolutely no idea who Joe English was. A man of that name turned up in Paul McCartney's Wings as their drummer, obviously, but this almost certainly isn't the same person. 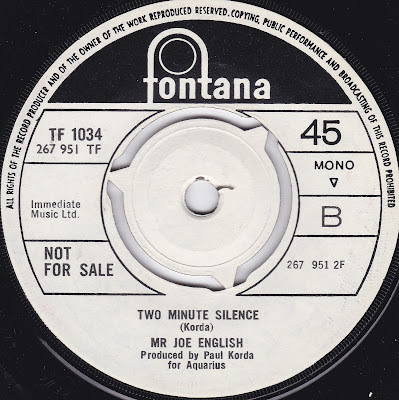 Nor is it the J English who turned up on Count Shelly records in 1973, who was Junior English, aka reggae performer Errol English, operating under another name. If anyone has any clues, please let me know. This is a lovely little single, and one of those moments where I've found myself wishing I had more material by the artist to investigate.